A plethora of little-known wonders of Egypt are revealed in a knowledgeable new guidebook that will place even the most seasoned traveller in awe. Never ceasing to amaze, Egypt is once again seen in a fresh light as a new book exposes unfamiliar and exciting destinations brimming with history to be visited in the land of wonders. In Egypt Rediscovered, author Mohamed El-Hebeishy goes completely off the mainstream, offering us a compilation of unique photographs of sites in Egypt that many never knew existed and telling us the tales behind them. Veteran travellers and first-time visitors alike — there is something for everyone in the little over 100-page book, and sites to suit all tastes. 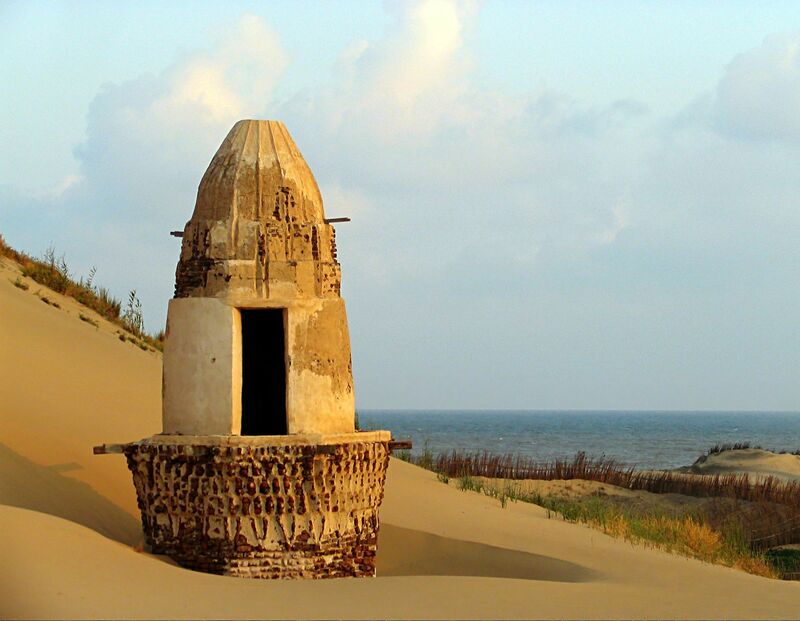 Overlooking the Mediterranean in Baltim, the mosque of Sidi El-Kheshoey is completely, but for its minaret, buried underneath a Goliath sand dune. A chapel inside St Anthony’s Cave is cunningly concealed by its location in the midst of the Red Sea Mountains. 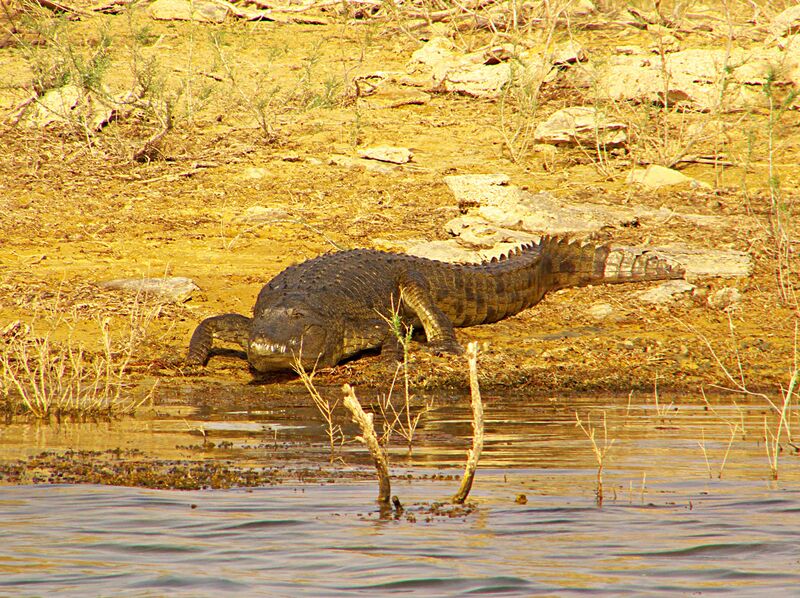 Photographs depict fierce crocodiles basking in the blistering sun of Lake Nasser, gazelles constantly on the move in the Eastern Desert, the Temple of Dush, located at the junction of five desert routes, among which are the infamous slave-trade route of Darb Al-Arabain, as well as the route of Darb Al-Dush, which connects the desert oases to the Nile Valley, and the petrified palm trees in the midst of the Great Sand Sea. One of the most adventurous expeditions detailed in the book was that of Al-Gilf Al-Kebir, in Egypt’s most isolated south-western corner. 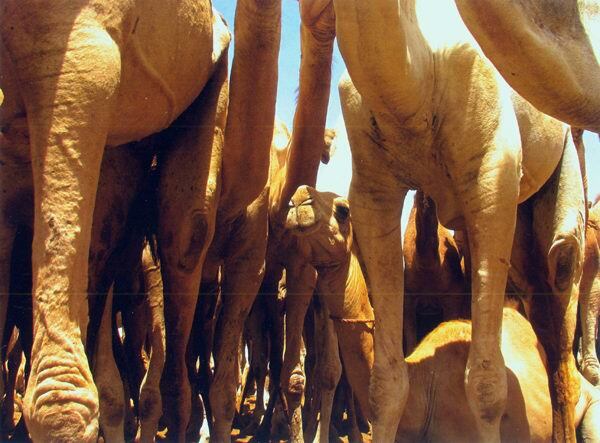 Hundreds of thousands of years ago, Al-Gilf Al-Kebir thrived with life. Hunter-gatherers roamed its vegetation-rich valleys and resided by its river banks. Today, standing desolate and barren, it offers a well-kept secret: a type of prehistoric rock art created by ancient ancestors living in the area 8,000 to 10,000 years ago who recorded representations of their lives, habits and surroundings by etching them on stone. The discovery was made by Count Almasy, a Hungarian aristocrat renowned as one of the early explorers of Al-Gilf Al-Kebir. Almasy was the first modern day man to set eyes on the drawings of cattle, human figures and swimmers in an abandoned cave in Wadi Sora (Picture Valley), one of the plateau’s valleys. The most recent discovery was made in May 2002, when ex-military colonel Ahmed El-Mestekawy discovered the largest rock art site in the area, now known as the Mestekawy Cave. It is notable both for the number of depictions it contains and its assortment of paintings and engravings. 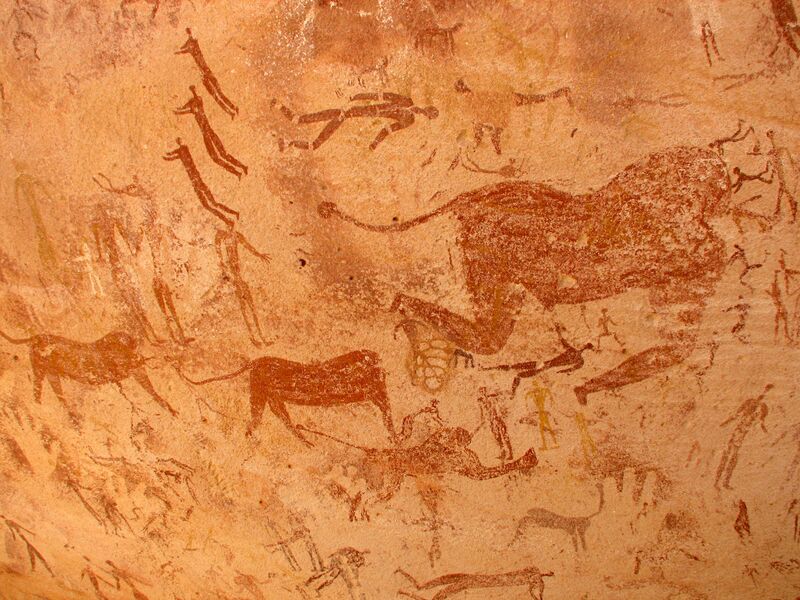 The depictions come in a wide variety of forms and shapes, ranging from handprints to hunting scenes, human figures to wild game, such as giraffe, barbary sheep, scimitar oryx and gazelle. Modern history devotees will appreciate sites at Al-Gilf Al-Kebir that house a few relics of the Sudan Defence Force (SDF) which, during World War II, contributed to the British Eighth Army’s North Africa victory and provided the French troops with logistical support. The SDF maintained a garrison in the Libyan oasis of Kufra, north-west of Sudan, which was later captured by Italian troops. At the time, the forces journeyed for days on end, battling the blistering desert sun during the day and the freezing coldness of the winter nights. They left behind relics depicting their strenuous lifestyle that ranged from petrol and empty food tins to wrecked trucks and vehicles. 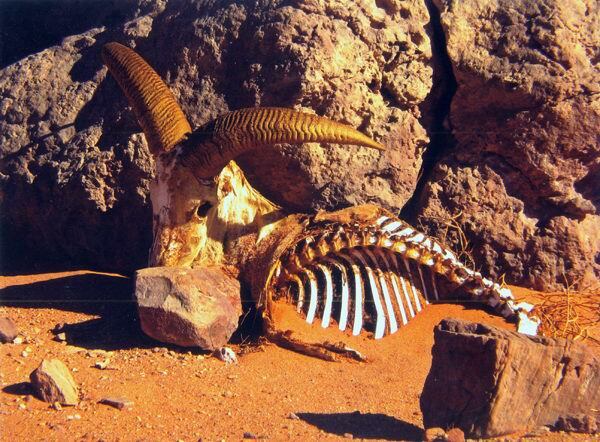 Nature lovers will have a chance, on a trip to Al-Gilf Al-Kebir, to see the Barbary Sheep or waddan, as the Saharans call it, the only big mammal found in the area. Originally found only in North Africa, Barbary Sheep formerly inhabited the mountainous regions of the Sahara. They are present throughout the recorded history of various Saharan cultures, including the very old records of rock art paintings, which portray the elegant creature in hunting scenes. Unfortunately this beautiful animal, which once roamed all the major mountains of the Sahara, is now confined to fragmented pockets of isolated mountainous desert in its homeland. Even in Al-Gilf Al-Kebir, that is believed to be one of the remaining strongholds of the Barbary Sheep population in Egypt, you can rarely see one in the wild. 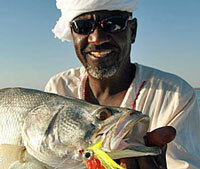 El-Hebeishy mentioned that during his last visit to the plateau in 2005, the only one he could see was a carcass. Many foreign and Egyptian travellers are acquainted with the Western Desert oases, such as Kharga, Dakhla, Farafra and Siwa. However, few people know there are other smaller oases of equal significance and charm. The area south of Baris Oasis, one of these marvellous unknown sites, is home to the Pharaonic temple of Dush. The city once pulsed with life, with craftsmen and merchants, markets and inns. A stroll around will allow you to see a wide array of shattered pottery and artefacts, such as coins, jewellery and letters. Between 96 and 81 BC, a sandstone temple was erected there in honour of Osiris, the ancient Egyptian god of regeneration. The temple was built to the order of the Roman Emperor Domitian and was enlarged twice in the first and second centuries AD during the reign of fellow Roman emperors Trajan and Hadrian. 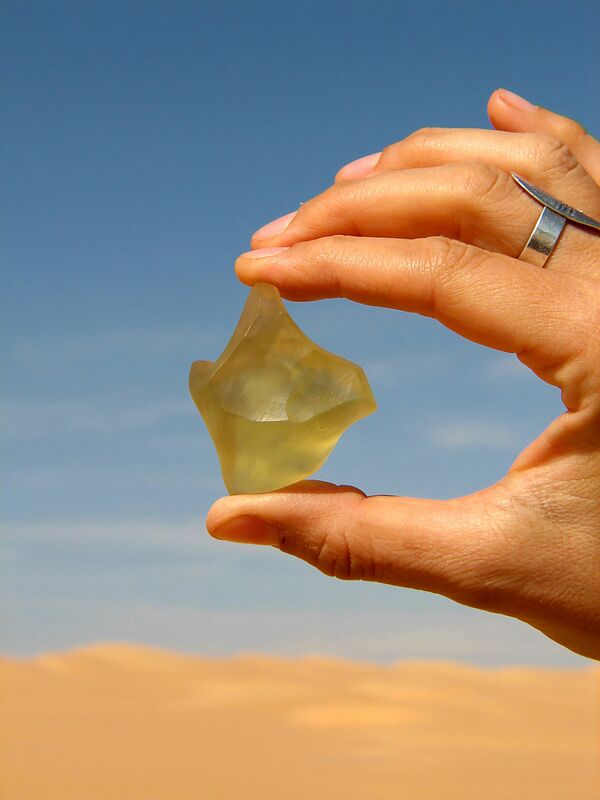 The Great Sand Sea travellers can also witness a unique natural formation that has puzzled mankind since its discovery — silica glass. The glass comes in different degrees of clarity, ranging from cloudy to fully transparent, and its colours range from light grey to pale green. 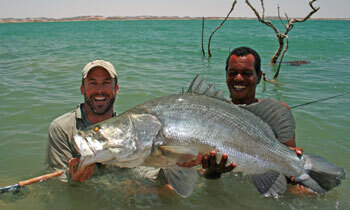 Its weight varies from a few grammes to several kilogrammes; the biggest whole piece that has ever been found is a 27- kilogramme chunk. Again, the Great Sand Sea expedition should preferably be undertaken through a travel agency that possesses the equipment and the expertise to navigate the area. 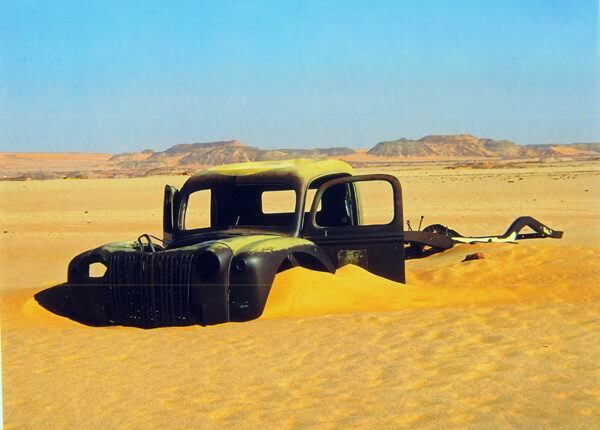 Many of us know Wadi Al-Natrun, a desert depression nearly 60 kilometres long located in the Western Desert near the delta about 90 kilometres north-west of Cairo. 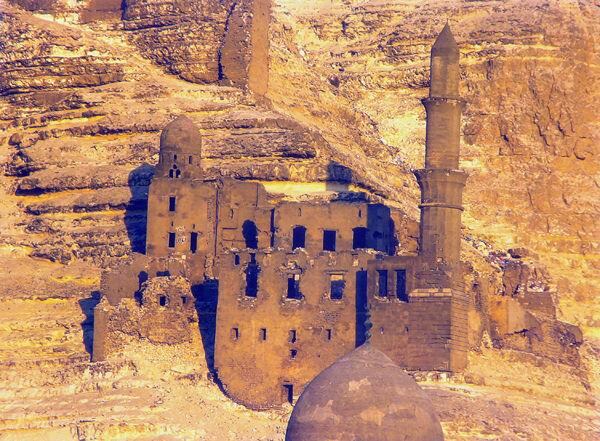 It is chiefly known for its four Coptic monasteries: the Monastery of the Romans (Deir Al-Baramus), Anba Bishoi’s Monastery, the Monastery of the Syrians (Deir Al-Surian) and the Monastery of Saint Macarious (Deir Abu Makar). 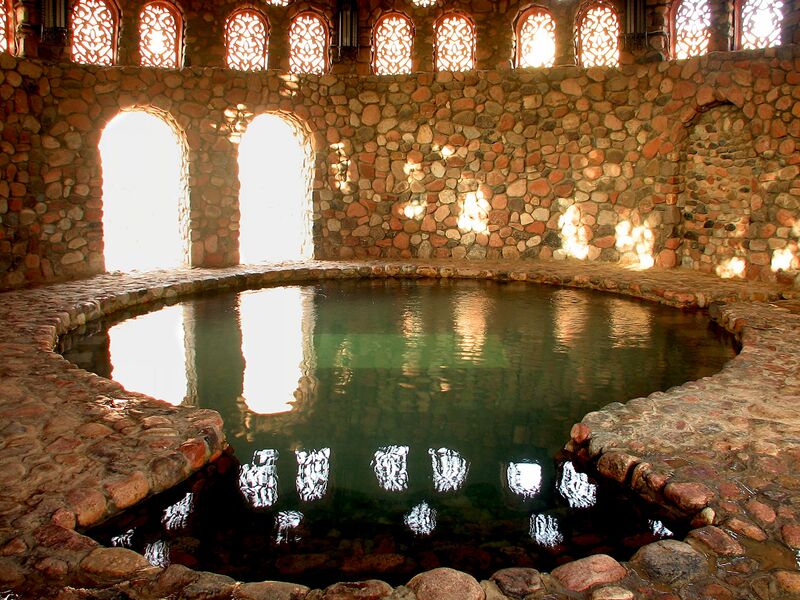 Many do not know that Wadi Al-Natrun houses a water spring called Al-Hamra, which is said to be the exact spot where the Virgin Mary took a drink to quench her thirst during the flight of the holy family in Egypt. 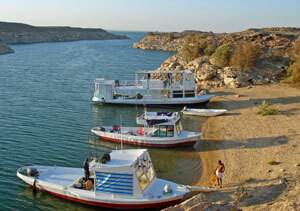 In Al-Hamra you can swim, enjoy nature, breathe fresh air, have a nice meal and reside in cosy accommodations. The deep red colour of the highly saline water is the result of its distinctive mineral component, a pink-coloured natural mineral that is categorised as a type of salt called natron. 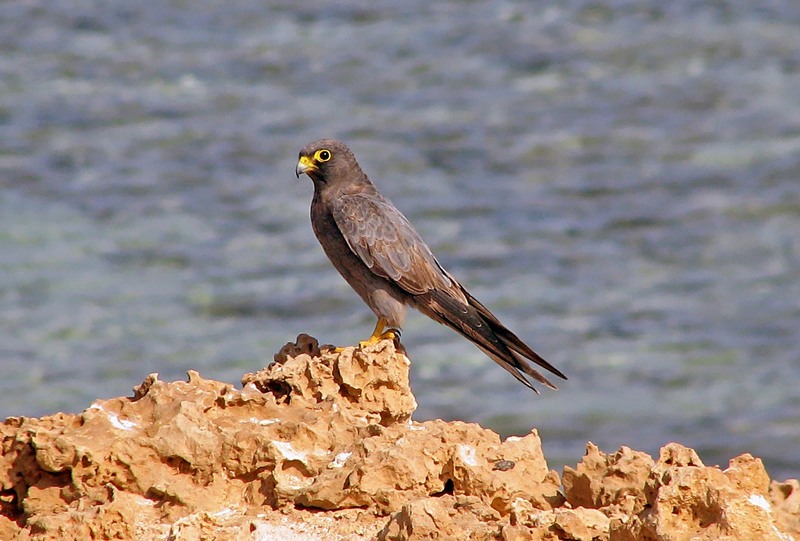 Natron is found in abundance throughout the area, which is how Wadi Al-Natrun (Natron Valley) acquired its name. During summer, and due to high temperatures, the water of the spring starts to evaporate, unveiling piles and piles of the precious mineral. Due to its proximity to Cairo, this trip could be done in a day, although there are good accommodations at either the Fishermen’s Village, a guest house type of resort equipped with two artificial lakes, where fishing fans can while away from their time enjoy the hobby, or in the Hamra Ecolodge, which offers inimitable lodgings in a cosy, family-like atmosphere. Then there is the Fayoum Depression, only a two-hour drive south-west of Cairo, known for its picturesque scenery of Lake Qaroun and its famous water wheels, as well as its history. Besides the known sites of Fayoum, El-Hebeishy suggests Wadi Al-Hitan protectorate (Whales Valley) for those interested in geology. Fourty million years ago, vast areas of the northern part of the Egyptian Western Desert, including all of Fayoum, were under water as part of the Tethys Sea. 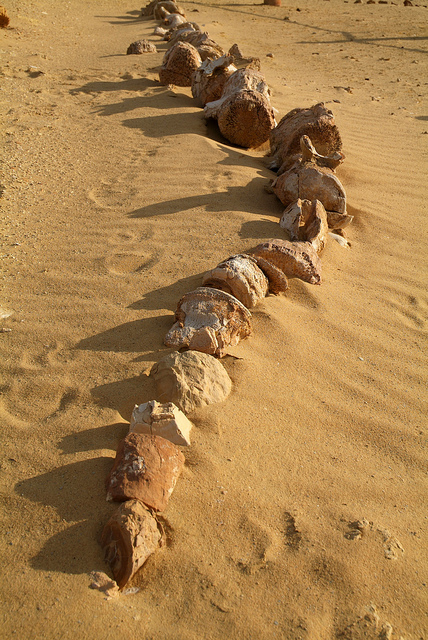 It is said that Wadi Al-Hitan was a bay where the gigantic whales used to harbour. When the Tethys Sea started to recede, some Zeuglodons (the famous Fayoum whales) were trapped in small water pools, in which they eventually died. These mass whale graves contain more than 240 skeletons of the extinct species. The significance of these whales is that their fossils provide crucial information on the transition of whales from land to marine mammals. Wandering around Wadi Al-Hitan, you will see big fossils, seashells, shark teeth and mangrove roots, as well as entire hills of fossilised corals. Trails are available to take you to Wadi Al-Hitan protectorate and a normal sedan will do. Another off-the-beaten track site in Fayoum is Qasr Al-Sagha (the Golden Fortress), which thousands of years ago stood flourishing with life on the fertile shores of ancient Lake Moeris. After the lake shrunk, Qasr Al-Sagha remained stranded in the middle of nowhere. So far, scholars cannot decide whether the edifice belonging to the Middle Kingdom was meant as a temple or a palace. Qasr Al-Sagha contains a number of small rooms, as well as a blind room with no entrance. The whole building is bare; there is not a single inscription or decoration to be found on any of its walls. Its unique construction technique is one of the most interesting attractions, as the edifice is built of large limestone chunks fitted together like the pieces of a jigsaw puzzle. Qasr Al-Sagha is only 25 kilometres away from the rural village of Kom Ushim in Fayoum. A 4X4 wheeler is essential on that trip, in addition to a GPS unit and a guide. 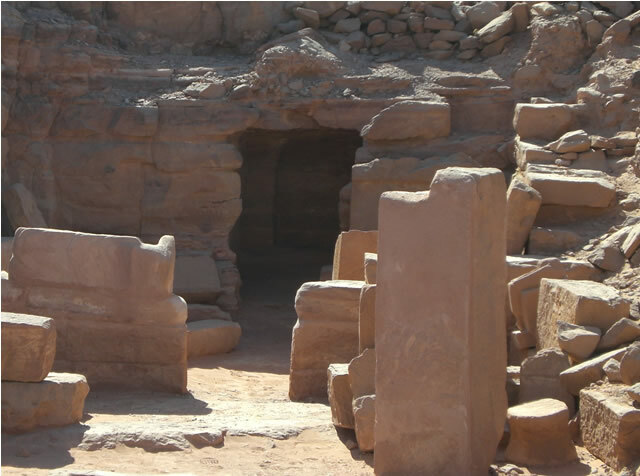 Besides the sea, sun, sand, coloured fish and coral reefs, South Sinai offers history lovers a number of ancient sites among which is the Pharaonic temple of Serabit Al-Khadem, the only Pharaonic relic left by the ancient Egyptians in South Sinai. Archaeologists have found that the earliest known settlers in Sinai, about 8,000 years ago, were miners. Drawn by the region’s abundant copper and turquoise deposits, these groups slowly worked their way southward, hopping from one deposit to the next. 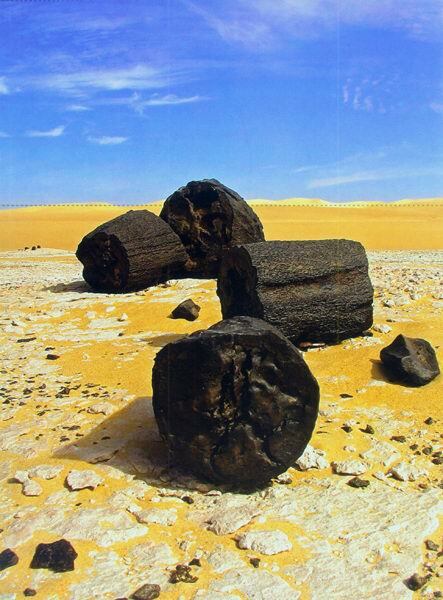 By 3500 BC, the great turquoise veins of Serabit Al-Khadem had been discovered. Dedicated to Hathor, the patron goddess of copper and turquoise miners, the temple is located 1,100 metres above sea level. It was first built during the reign of Sosostris I of the Middle Kingdom; and partly reconstructed during the New Kingdom. Serabit Al-Khadem is the largest of Sinai’s mining sites dating back to the time of the Pharaohs, but it is not the only one. Other sites like the one in Gebel Maghara are also worth mentioning. The mountain is full of caves in which ancient Egyptians mined for turquoise and copper. Atop the mountain, there is a small collection of rock carvings adorning the site. Today, it is not difficult to reach the Serabit Al-Khadem area, though the trip must be made by jeep. There are no paved roads to the base of the mountain. From a parking area, one takes a well- marked path that has an elevation gain of over 2,600 feet above sea level and is somewhat rigorous. If you are adventurous, you can go on a three-day trek to the notorious Gebel Abbas, infamous for the palace built on its top which belonged to Abbas Helmi Pasha, Mohamed Ali’s grandson and Egypt’s viceroy between 1849 and 1854. The palace was built as a health retreat for the reclusive pasha. 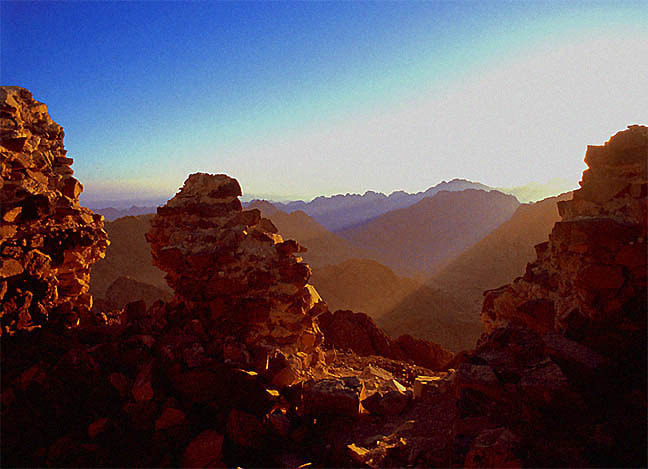 Ascending the mountain will give you a superb panoramic view of the Sinai desert and will lead you to the ruins of the palace, which was never completed because of the assassination of Abbas Pasha. If you fancy a less exerting hike, you can target the Nabatean Village, an archaeological site where Nabateans once resided. Nabateans were clever merchants who exploited their position at the nexus of several trade routes, though they didn’t maintain clear-cut boundaries with their neighbours. Nabateans are believed to have occupied the border area between Syria and Saudi Arabia, including current-day Jordan, and which extended to cover the Sinai Peninsula. Trade routes and the origin of goods were considered a matter of national security; revealing any was an act of high treason. Along their secretive trade routes they maintained garrisons and stations to rest and replenish with food and water supplies, one of which is the archaeological site known as the “Nabatean Village”. The Nabatean civilisation reached its zenith with the carving of the elusive city of Petra in Jordan around the first century BC. But civilisations have all been characterised by rises and falls and the Nabateans’ was no different. Roman Emperor Trajan waged a ruthless war that ended with annexing the Nabatean Kingdom as part of the greater Roman Empire. The splendorous city of Petra was reduced to the Roman province of Arabia Petraea. The Eastern Desert also has its priceless treasures; the Emerald City, or Mons Smaragdus as the Romans called it, being one of them. Thousands of years ago, it was the only site throughout the vast Roman Empire that yielded emeralds. Covering an area of about 180 square kilometres, Mons Smaragdus boasted at least nine separate mountain communities, the largest and most well-preserved of which is the Emerald City of Wadi Sekeit. 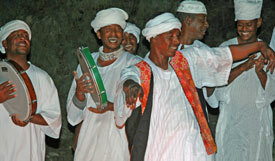 Mons Smaragdus was a buzzing community in the midst of the Eastern Desert, located between the Nile Valley and the Red Sea coast. During its heyday, the journey from the Emerald City to the Nile took an average of seven days. It was first mentioned in the Ptolemic era, reaching its zenith during the Roman one. After the Arab conquest in 641 AD, the Emerald City’s mining activities continued, albeit on a smaller scale. Many excavations have taken place at the site, and each time they yield new clues as to its techniques and functions. Many inscriptions have been deciphered, but unfortunately, 19th century explorers who came to the area left their own graffiti; many of the original inscriptions have been replaced, partially destroyed or even completely removed. Wadi El-Gemal island off the Red Sea Coast, 50km south of the town of Marsa Alam, offers nature lovers an unforgettable experience. This small, stretched out coralline island, along with Hamata Archipelago, forms the marine part of Wadi Al-Gemal-Hamata National Park. Covering a total area of two square kilometres, Wadi Al-Gemal Island is home to a rich diversity of eco-systems including marine life, avifauna, flora and fauna. The valley is the third largest in the Eastern Desert draining into the Red Sea. On an early morning stroll, you might catch gazelle (Gazella Dorcas ) nibbling on the rich vegetation on the hillsides, or perhaps the “King of the Mountains”, officially known as the Nubian Ibex ( Capra Nubiana ), making an appearance, descending a rocky trail looking for small waterholes, as it must do at least once every 24 hours to drink. If you are lucky, you may be rewarded with a relatively close encounter with a Rèppell’s Sand Fox ( Vulpes Rueppelli ). Though foxes are nocturnal creatures, they sometimes appear in the early morning hours. As the sun ascends, you’ll likely pass rock-dwelling lizards such as the Fan-footed Gecko ( Ptyodactylus Hasselquistii ), Spiny Agama ( Agama Spinosa ) and Jan’s Cliff Racer ( Coluber Rhoderhachis ). To spot them, look carefully at the nearby rocks, for they have a remarkable ability for camouflage. 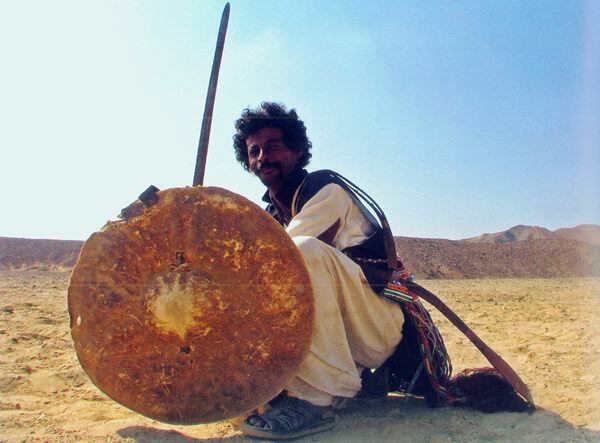 There are countless other sites mentioned in El-Hebeishy’s Egypt Rediscovered that will inspire awe and are worth visiting, such as Hamata, 100 kilometres from Marsa Alam, Shalateen and Elba, on the Egyptian-Sudanese border. Besides the essays and valuable information, the reader is offered more than 50 unique shots of picturesque sceneries, extinct fauna and flora and unrecognised archaeological sites. Egypt Rediscovered ‘s main strength lies in the fact that it is a personal account of El-Hebeishy’s two years of extensive travelling experience and adventures, in which he was searching for a different Egypt. It is an unusual guidebook not only of sites and relics, but of peoples and communities, their rise and fall and the tales behind them.